Lets start with the location and set up for my little shindig! The place – my In Laws carport. The set up – 2 tables covered in vintage sheets, decorated with bits and pieces from my home decor. Hubby made me the “farmhouse” benches (LOVE them!!). Also had a few smaller tables set up and covered with vintage sheets for the foor and wine. That backdrop? Yarn hand dyed and tassels made by me, tied to an 8 foot poll and hung from the rafters of the carport. I knew that the carport was going to need something special to make it a little more pretty and a little less practical. When enjoying Flowers, Wine and Friends, one must have a lovely spot to do it in. Since the hubby made me several farmhouse benches from some reclaimed wood we had, I used a spare bench to store/display all the pretty flowers I recieved from fiftyflowers.com. The wine: Personal Wine sent me a some bottles of their house label rosé. I served it as a DIY spritzer and boy was it delicious! Allowing my guests to add their own cocktail ingredients let them fix it to their specific tastes. 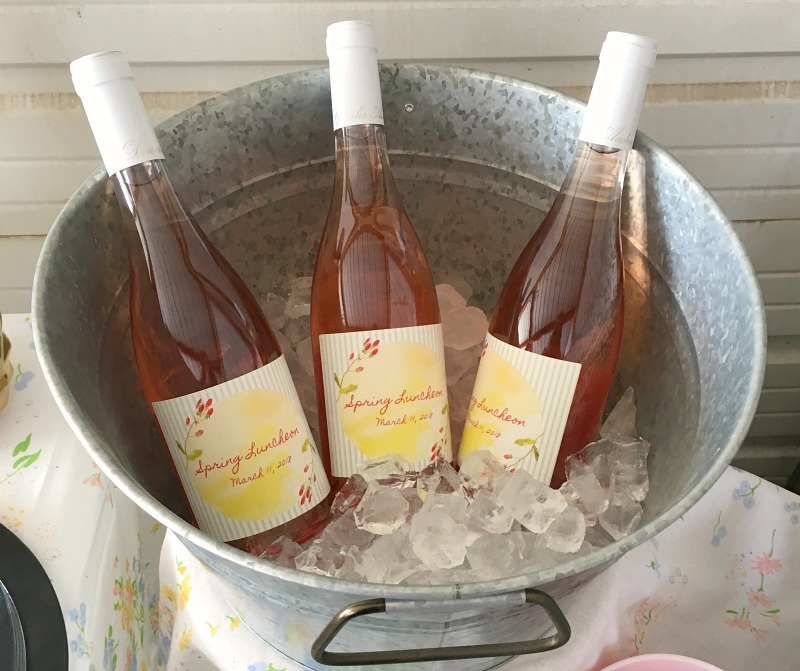 We mixed lemonade, the wine, frozen pureed strawberries cubes and a little grenadine – the perfect spring time wine spritzer to sip with friends! I also have to say a HUGE thanks to my BFF Taylor for helping with the staging and making everything look so pretty! Her skills as an incredibly talented event stylist definitely came in handy! The flowers and bouquet making – The whole point of this little get together was to get creative and let our inner florist out! We had a little girl chat, drank a few cocktails and then dove into playing with the prettiness! It was fun to see how each of our own styles and preferences came in to play as we selected flowers and created our arrangements. All in all it was a marvelous day, and I can’t wait to host another event or get together for my gal pals again soon! When was the last time you enjoyed some Flowers, Wine and Friends? These are really beautiful flowers. What a fun time for all of you! This seemed like the perfect day to enjoy an event like this, and i’m sure all your friends loved being there. Wow – you did an amazing job! The backdrop, the buckets full of flowers… SO GOOD! Sounds like a fun event to do together with some gal pals. Love the set-up and those flowers are very pretty. This should be followed by… these are a few of my favorite things! Those flowers are gorgeous…especially the ranunculus! Beautiful flowers and great pictures! Thanks for sharing. What a wonderful party. Love the flowers. Yes, those flowers were amazing, and the whole setting was beautiful. Can’t go wrong with wine, and flowers! Pretty. 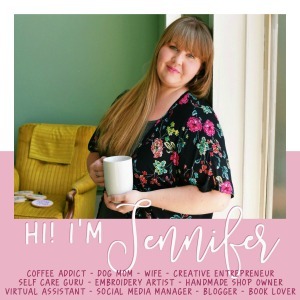 Thanks for sharing at the Inspiration Spotlight party @DearCreatives pinned, and sharing. See you again soon.